Decorate Preserve Jars - Pebbles, Inc.
Hello friends! 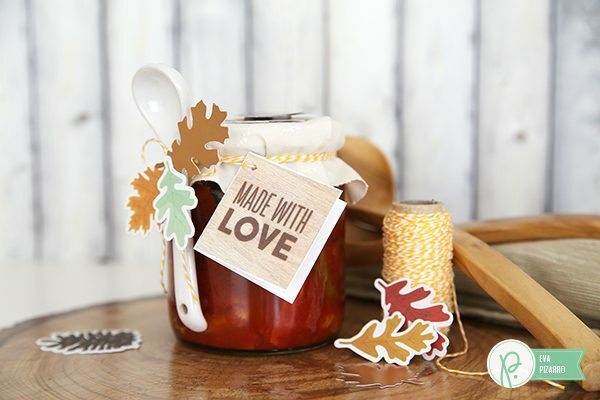 It’s Eva Pizarro here today showing you how to quickly decorate a preserve jar to give to someone you love. Every year at the end of the summer my family makes a traditional Italian preserve called “antipasto.” My husband is Italian, so we follow his grandma’s family recipe and make many jars to enjoy during the year and to gift to friends and family. 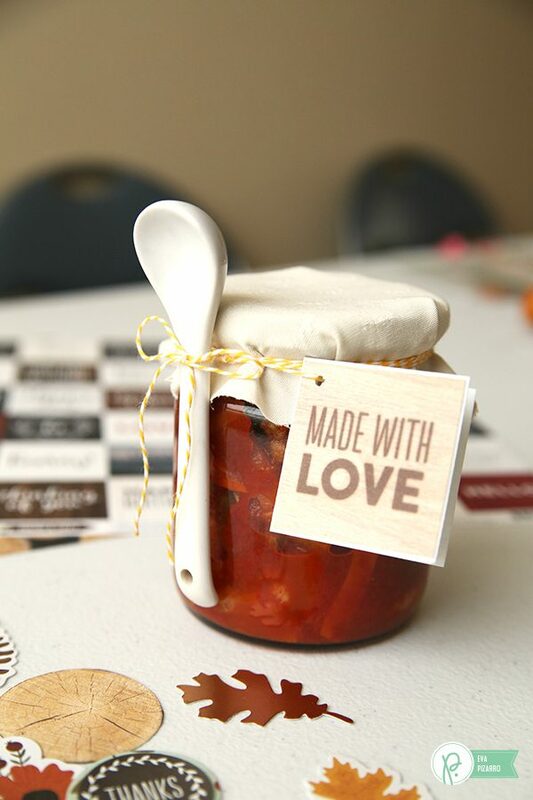 I love to give something homemade! I decided to decorate my jars very simple. 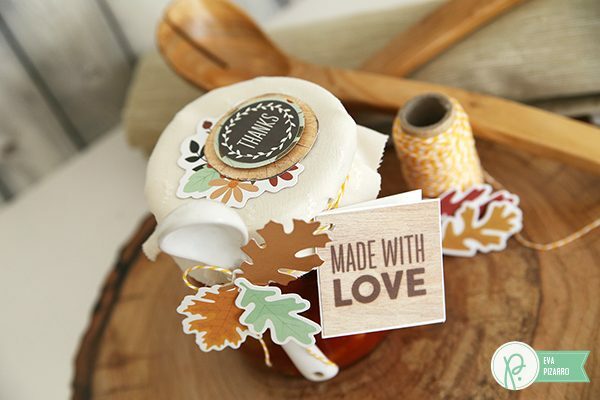 I used some die cuts, twine, that lovely log paper, the square sentiments paper, a piece of fabric and a cute spoon. 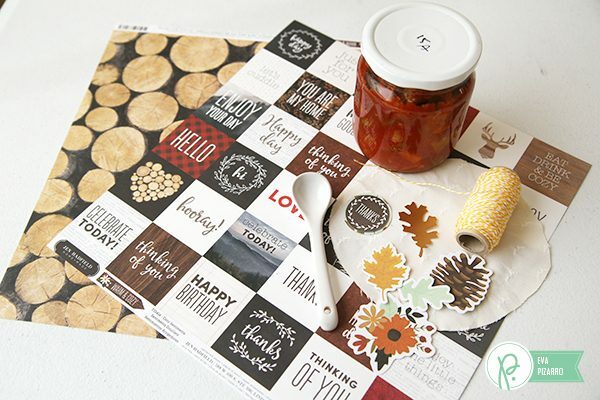 Use one of the squares from the sentiments paper to make a card. Inside you can write the recipe or maybe some instructions to plate the preserve. Put a piece of fabric on top of your jar to cover the lid – you can also use washi tape following this tutorial I made some time ago. Use some twine to hold the spoon and your card in place. 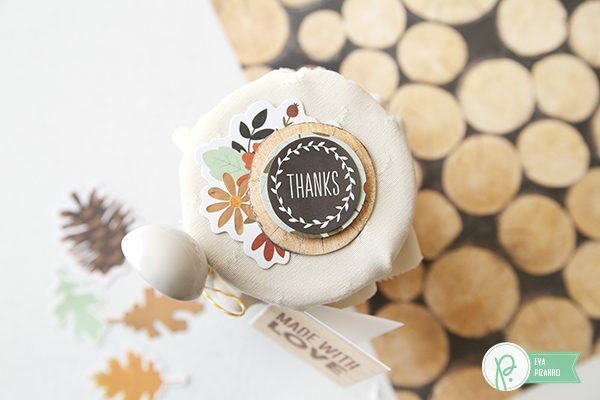 Decorate the top of your jar with some die cuts and a log from that cute log paper. 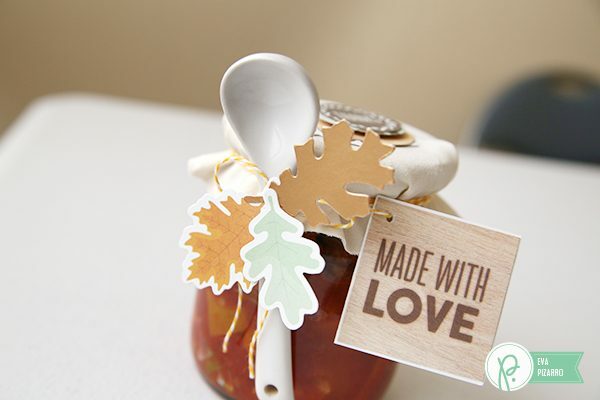 Add some die cut leaves to your spoon using a strong liquid adhesive. Your jars are done! I think they look very cute, and I am sure my friends will appreciate them! 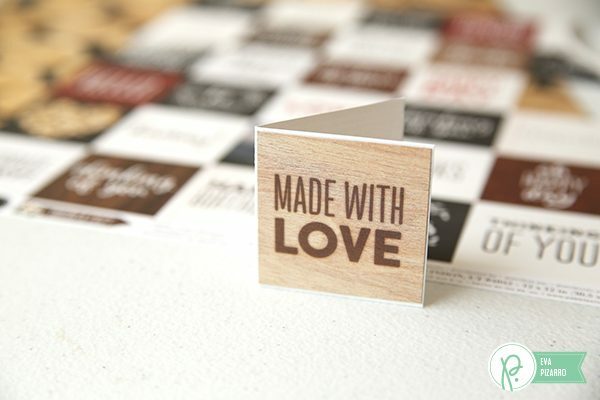 They would make a lovely Christmas gift for neighbors or coworkers as well!